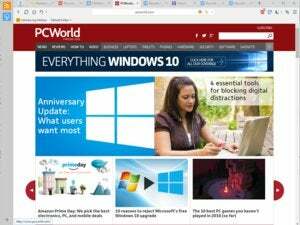 Maxthon (free) is probably the best Web browser you've never heard of. I reviewed it favorably in the past, when it resembled a cousin of Internet Explorer 7. Since then, it's changed drastically. Maxthon includes two built-in rendering engines, Webkit and Trident, and you can switch between them with a click,which means no website should be incompatible when browsing. One of the best uses for this is to visit ancient sites (like for work) that only work with Internet Explorer. Maxthon's one-click ad block is a welcome feature.